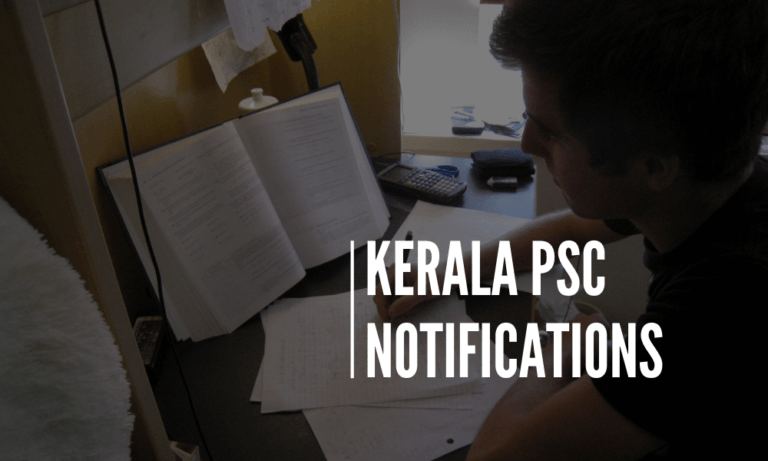 Kerala PSC invited the applications for the post Lower Division Typist (By Transfer) in Various. The qualified candidates should do One Time Registration in Kerala PSC Thulasi website. Kerala PSC Notification for the post Lower Division Typist (By Transfer) in Various is given below. The last date for the application is January 30, 2019. Age limit 18-­36. Only candidates born between 2.1.1982 and 1.1.2000 (both dates included) are eligible to apply for this post. (SC/ST candidates and Other Backward Communities are eligible for usual age relaxation). Qualifications (1) Pass in SSLC or its equivalent. (3) Lower Grade Certificate in KGTE English Typewriting and Computer Word Processing or its equivalent.